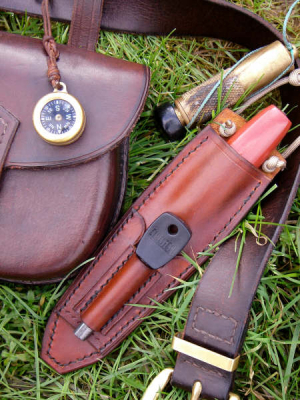 Here are a few of the handmade goods that we can provide, delivery times vary (as can the price) dependant upon the amount of work required to make your order. The prices shown below are for the item without modification and are without shipping. 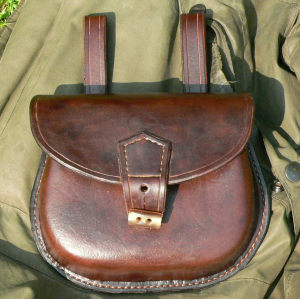 Box walled construction possibles bags, they have solid brass fittings, they can also be used as a cartridge bags for those of you into shooting, a possibles bag for those into bushcraft or they can be customised as handbags for the ladies. 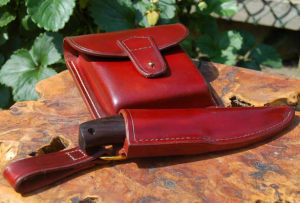 They are made from between 6 and 8 Oz vegetable tanned leather. The price is £225 before shipping. Bag has arrived. 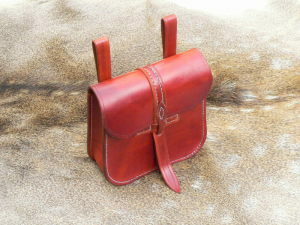 I have to say the bag does not live up to expectations... it is FAR BETTER than expected! I'm afraid the cost does not do you justice - you should be charging at least double this! Sarah-Jane is delighted - it is exactly what she wanted! Only one problem - she can't decide which strap to use first! Thank you sir - your work is fantastic - you have got two very delighted customers here in Jersey! 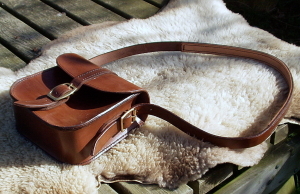 They are made from 6-8 Oz veg tanned leatherand can be dyed Saddle Tan, British Tan, Dark Brown or Black. 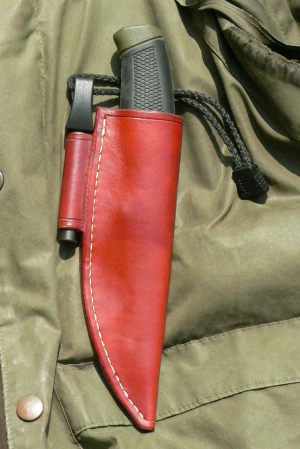 I charge £35 per sheath before shipping. 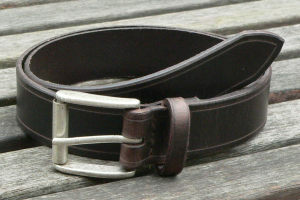 They are made from 6-8 Oz veg tanned leather and can be dyed Saddle Tan, British Tan, Dark Brown or Black. 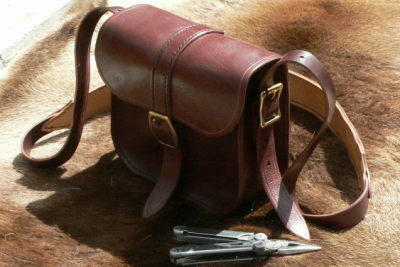 I charge £40 per sheath before shipping. these belts before shipping in the UK.